Professional Websites from just £395. 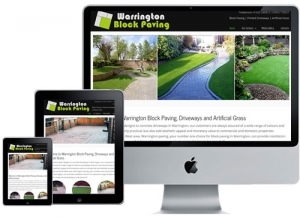 Cyber-Net Services are based in Warrington so if your looking for reliable website designers in Manchester, we are ideally located to provide you with quality services that we offer. Whatever your web requirements, from basic web sites or getting your website submitted to search engines, we will assist and support you all the way. If you have a question, just ask ! We are friendly, supportive and want to work with you. Manchester is only a few miles from Warrington so if preferred we can always meet up and discuss your requirements and decide the best options available to you. From quick websites installed with WordPress CMS System to bespoke website designs, from business websites to personal blogs….whatever you need, we can help. We mainly focus around the small to medium sized businesses and offer full support and maintenance packages. Already have a website and want a complete revamp? Already have a website but its not getting listed on search engines ? Do you have one but want to be connected with the power of social media ? If so, then just give us a call or drop us a message. We will work with you, provide you with great prices, support and aftercare and there are no pressure sales people. Guaranteed ! Here’s Why Cyber-net Services Can Help You ! If you are getting a website designed or redeveloped then it has to be money well spent. Getting quality designs that reflect your company brand but also appeals to the correct target market is very important! Ok, so you have a new website but don’t stop there! Cyber-Net Services offer a range of maintenance packages with full support. If you need help…we help ! If you need updates….We will update it for you. Cyber-Net Services are happy to manage your existing website wherever its hosted. If however you not happy with your existing web developer or hosting company, then we can help and provide solutions that work! We can create you a website that you can easily manage yourself. Update the content online in a few clicks or if you prefer….Cyber-Net Services offer a range of packages to manage the website for you. We want to work with you so if your interested in a new website or using our services, just get in touch. We are flexible about payments and will work on a solution that works for both parties. Having a great website is one thing, but it is important to be found on search engines. We can work with you to determine your target keyphrases and ensure important key factors are in place.